ScriptoPro is an online assessment tool and learning management system that allows educators and trainers to develop and deliver quizzes, courses and training online, as well as track and report the progress of their learners through an engaging and intuitive interface. e-Factor!® is a business tool that helps diverse teams and leaders work better together ethically. It also helps protect you and your organization from unethical behavior. The game does this by creating a safe place to simulate work experiences and solve real-life business ethics dilemmas. In this environment it is possible to evaluate opportunities and consequences before taking an action that could cause an organization to lose clients or damage a companies professional reputation. Swipensnap™ is a patented one hand diaper cream applicator. Invented by a mother who was faced with the struggles of applying diaper rash cream ointment onto her babies bottom. It provides more safety for your baby by allowing mothers and fathers to keep one hand on the baby at all times. Prevents contamination, if her hands were washed thoroughly. And it makes the process more clean and efficient by eliminating the need to wash the water resistant ointment off her hands. Luckybar is the ONLY kids protein bar that has more protein than two eggs and has 30%-60% less sugar than the leading kids bar. The packaging is fun for kids, each one is a fun adventure featuring brother and sister Luke and Lucy Lucky, and every box includes 12 stickers! 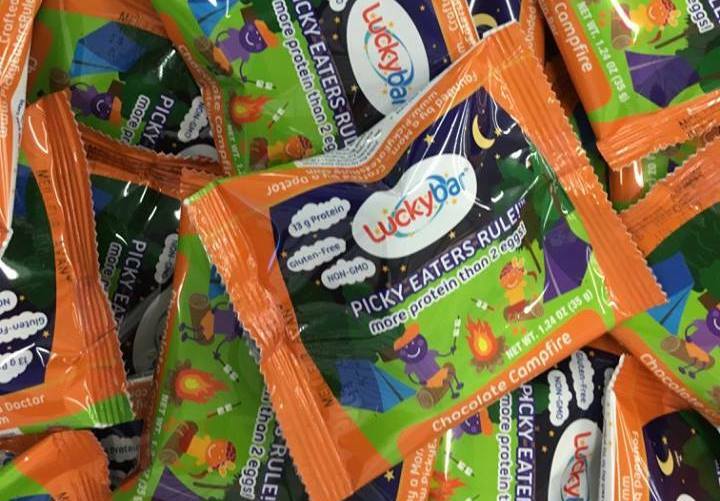 The best part is that kids love the bars and they are eating them, which means that we effectively changed meal time and snack time for kids everywhere. Congrats to our December Qualification Grant Finalists and as always, thank you for reading! Remember we award a grant every month – if interested, here’s the link to apply!